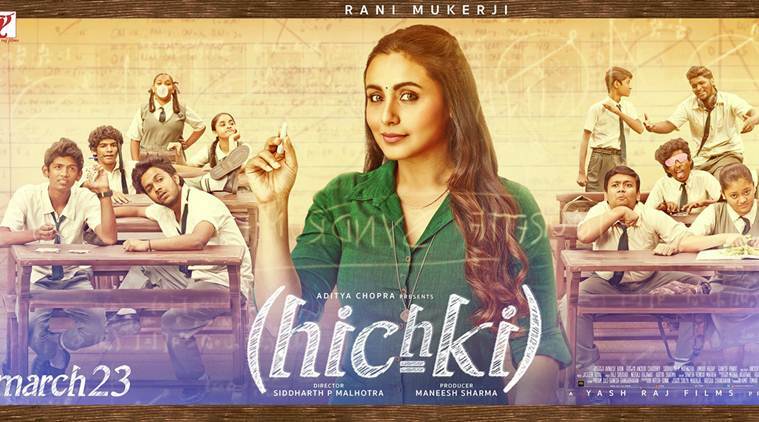 Hichki is a sweet and simple story of an aspiring teacher Naina Mathur (Rani Mukherjee). She has been rejected by 18 schools due to Tourette Syndrome. She earns a living by doing part time job as an animator. Tourette Syndrome causes Naina to make noises like “waa waa” and “chak chak” at random. She explains that this is a neurological disorder and she has no control over this. Her sounds increase and don’t stop when she is nervous. She tries hard to get a teaching job. Looking at her condition, her dad (Sachin Pilgaonkar) offers her some bank job which she refuses. Her parents are divorced but her mother (Supriya Pilgaonkar) and brother (Hussain Dalal) support her a lot. She wants to be a teacher as once a School Principal had supported her and said that she will study inspite of her problem. Finally, one day she gets a job at St.Notkers High School. Naina joins the school and realizes that she has to teach a bunch of 14 students from class 9 who stay in the slum. 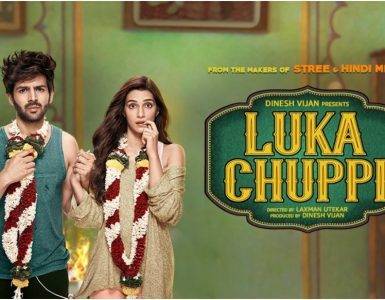 The students try their best to drive her away but Naina still tries to befriend them as she believes “There are no bad teachers but there are only bad students”. Poor kids are made to believe that they already know how to get along life and they just need to clear simple exams to make a better living. Naina uses out of box teaching methods so that the children remember all techniques. She throws boiled eggs at children and makes them catch it – to explain the concept of parabola. She even convinces the Principle to make the class 9F enter for the Prefect Batch. Her colleague mocks her saying that her class should score passing marks atleast but Principal believes her and gives permission. Naina and her students face lot of issues and are even suspended from the school. Will they be able to pass with flying colors? Will they make it to the prefect batch? All this forms the climax of the story. Rani Mukherjee has delivered an awesome performance and steals the show. She makes even Tourette simple – a real inspiration in today’s world. She has put her best effors in the movie. Songs of the movie are really good and go well along with the situations. 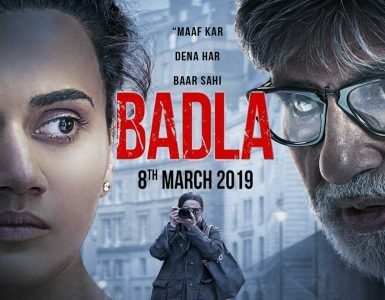 “Oye Hichki”, “Khol De Par” and “Teri Daastan” are really good. Background score is also very nice. The best performance of Rani Mukherjee’s Career. Inspiring movie and a sweet message at the end. Worth a watch, skip any movie but not this one. OYE HICHKI! !